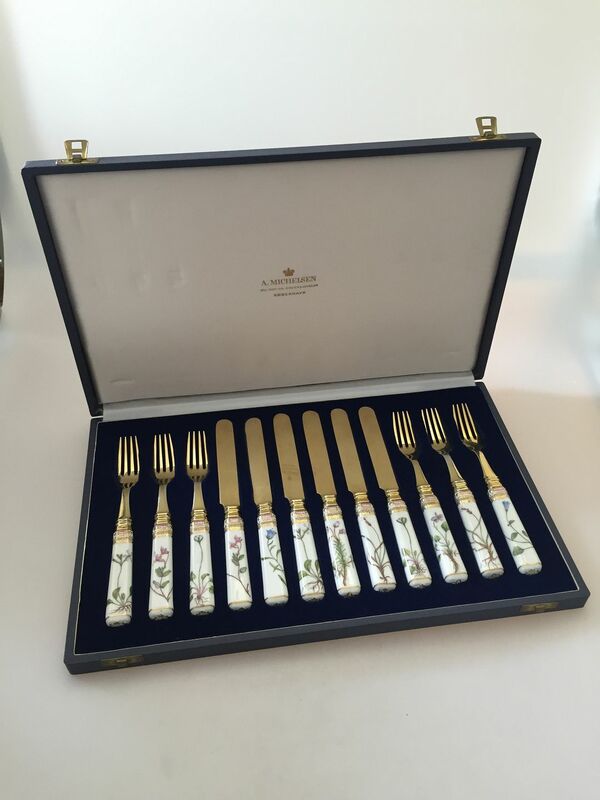 Royal Copenhagen Flora Danica Dessert Flatware set for 6 persons Anton Michelsen gilded silver. I have had a lot of Flora Danica flatware over the years. But it is the first time I have seen a presentation box. Knifes measures 20,3cm and forks 18,7cm. 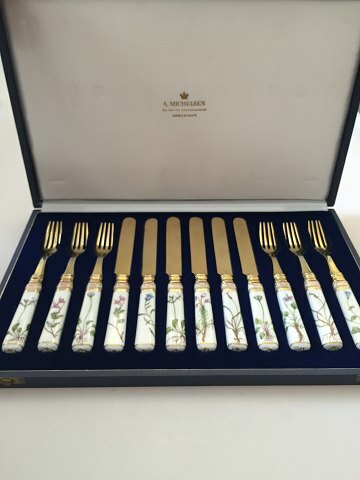 The handles is made of porcelain and the tool part is gilded silver from Michelsen silversmithy.